The quality of our lives is directly proportional to the kind of choices we make in our lives. In today's world where there is no lack for choices -whether be it the kind of movies to watch or the courses to study or the path to choose in life, it is indeed overwhelming for an amateur when there are too many choices available. Choices somehow have been not very complicated for me, and thus was the case even with my mentor. A recent study had shown that super markets that kept only one brand of shampoo, and ketchup etc., actually sold more than the ones where "a choice" was available for the customers. So the presence of choices only seemed to add confusion to the minds of customers, rather than giving them a sense of control over what they picked. I for one, belong to the category who know what they want before they go shopping. Which is why choices aren't complicated for me, like I said- as was the case with my getting mentored. At times, he has put me on tasks/situations that made me realize what I'm great at. At times, on tasks that made me realize what I'm terrible at. And at other times, he has straight out identified qualities in me which I may have never discovered myself. 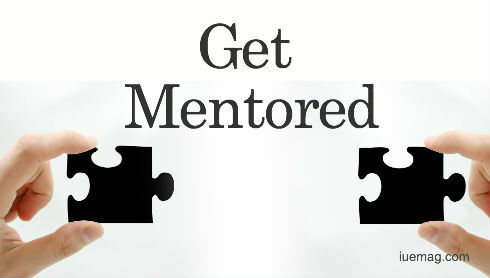 Having a mentor has been a journey where I discover and re-discover aspects of me I never knew were there, and it has truly been eye-opening. One of the very first lessons that Zen masters teach is patience, they say. Zen master or not, my mentor has taught me patience in his own unique way, and it has opened doors for me which would have otherwise remained closed for me for another hundred years (for my lifespan, yeah). I actually wrote about the technique which zen masters use, and the technique my mentor used, and have deleted it on second thought. So life works this way- If I write about the technique, and if your mentor uses that technique on you, it won't work. For any method to work, you shouldn't know what your mentor is trying to achieve. Then, and ONLY then can it work. The mind must be confused- it is the only way. I have come a long way since, and though the road ahead is long, the journey seems plausible. I don't mean obedience, no. Surrender is what you do when you have done everything you could do and don't know what else to do, to reach where you want to reach. To be able to acknowledge the intelligence and energy of someone on a frequency higher, and abide to my level best to what he says has put me on paths which would have never happened if not for him. It has also shown me results which were impossible to accomplish by myself - both material and on an energy level - in life. This might seem like something that can be got from anywhere, considering that everybody is great at giving advice. But to give counsel in a way that can help, and constructive feedback is what only a true mentor can give. There have been times when he has repeated the same thing in different styles to me, so that I don't feel terrible about not getting it the first time. In a world where tempers run high, creativity to deliver the same content in a different package without changing tone is a much needed skill for anyone who deals with human beings, and patience to see through is a rare combination indeed. There was a point of time when Guilt was the operational frequency of my life. Unearthing that, unloading it and undoing the pattern- all credits to him, for having the patience to dig through the dirt to find that tiny speck of gold. Everybody has a unique frequency they operate on - and most people from orthodox religious backgrounds without a real understanding of their religion will inevitably be on guilt. Anyone who's guilty can be easily manipulated, and this manifests in all aspects of life. A frequency shift would have never been possible without the hands-on work of someone with the patience and compassion to work on me as an individual - and what is truly surprising is none of us know that there are better ways to live until somebody who's already there shows it to us, which is what my mentor did. In a world where everyone is madly running a race where no one knows the end-line is, skipping competition and just bettering myself from who I was yesterday has been what he has worked at, and many times, I surprise myself with the results. To be able to find someone who can push you to your limits, and then push you beyond them, without fear is indeed significant, for the mentor first must know what limits we operate in himself. It is impossible to run a marathon for somebody who cannot do a 200m run, and most often in life, abilities and limits are rarely that easily comprehensible for ourselves, let alone an outside person. Going past one's past limits is just what true glory is about, is what I have learned, and how! Cutting through the jazz and seeing people for who they are, skipping the conscious and touching base with the subconscious, looking at a gift and comprehending the emotion or the effort that has gone behind it, taking only ONE thing at a time, and just one - essentially keeping it simple is what my mentor does. Only one who has tried simplicity knows what a complex affair it is to keep things simple. Here's to someone whose presence has been life-transforming, to say the least! "Life Simplified", a book written by him, has simplified not just my life but thousands across the globe. How has your journey been with your mentor? Would love to hear through comments!